ADM Protein is a world leader, with an extensive line of versatile ingredients designed to fuel many product applications with the benefits of protein. 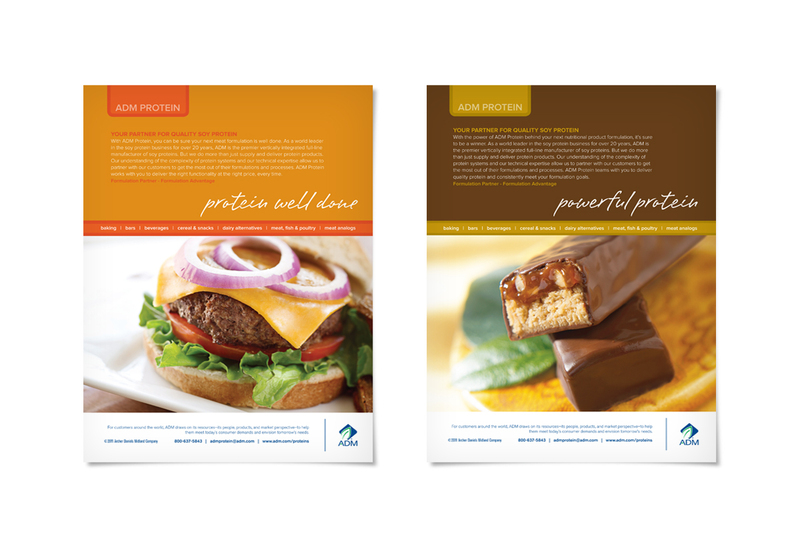 ADM Protein wanted our creative and media approach to bring their protein campaign to the forefront. To do so, we used comprehensive media and PR strategy, and included targeting key publications within relevant editorial issues. The creative was just as instrumental; we flipped the switch and put the body copy at the top of the ad, while application-based imagery gave ADM Proteins a look all its own.